The announcement of any new Chanel launch is something to get excited about, but when it comes to a foundation release then things get a whole lot more noteworthy. Some people have a thing for lipsticks, some love blushers but for me it's foundation that I can't get enough of. 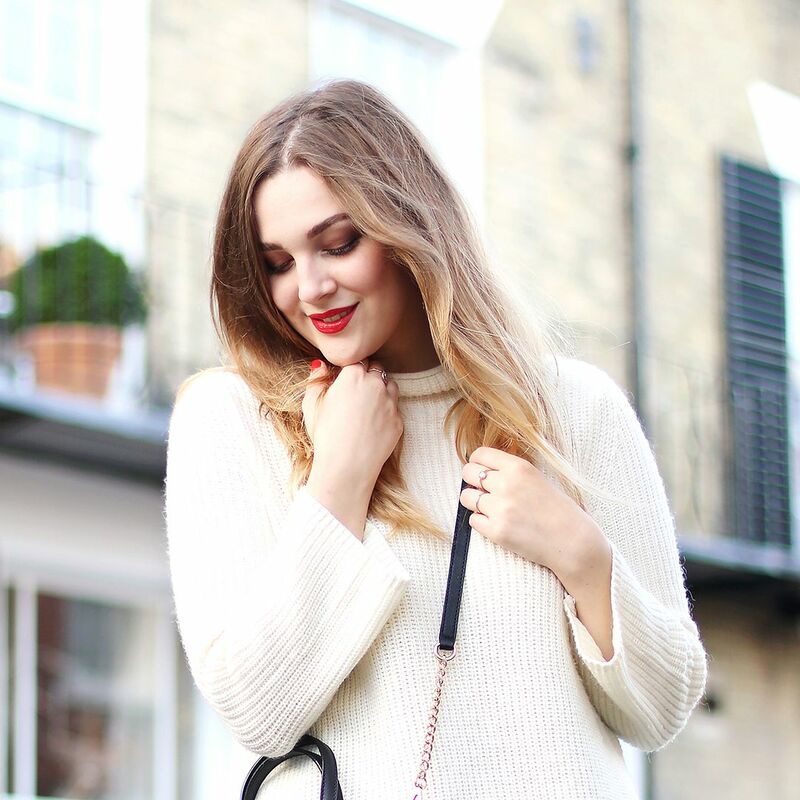 I guess it all comes down to the search for perfect flawless skin and despite discovering many favourites throughout my make up wearing years, I can't help but always wonder if there's something better out there just waiting to be tested. Two days after it's release I popped down to my nearest counter and picked up a bottle of Chanel's newest addition to the face base range; Perfection Lumière Velvet. The packaging I loved, the coverage was great and easily buildable but there was something about the finish that didn't sit quite right on my skin. The name 'velvet' really does sum it up as although not completely matte it definitely has a smooth powdered finish once set. 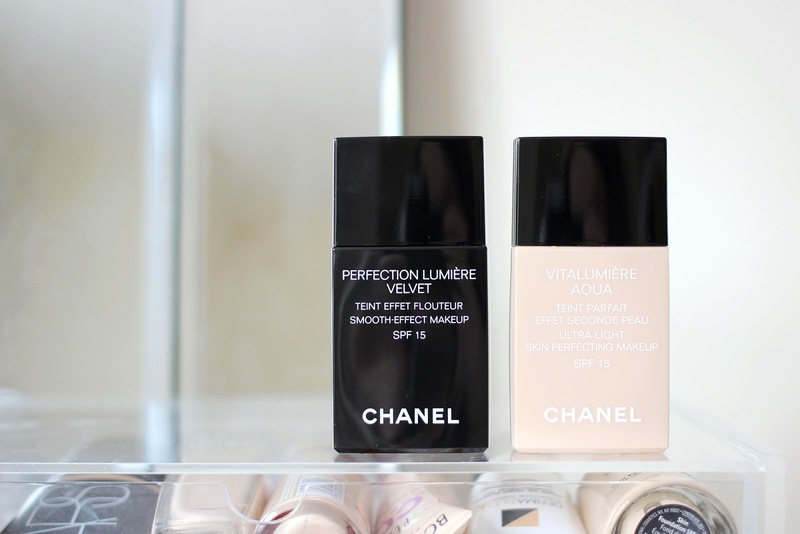 Chanel Vitalumière Aqua on the other hand has been a staple in my foundation wardrobe for a long, long time. It's one of those failsafes that can always be relied on when I'm in a bit of a make up rut and one that I still think it reigns supreme as Chanel's best formula ever (possibly with the exception of the long discontinued Matte Lumière whose loss I'm still grieving), with a similar amount of coverage as the Perfection Lumière Velvet but with an injection of moisture it gives just the right ammont of radiant glow. Some days I've been favouring Perfection Lumière Velvet, particularly during oily skinned moments, and others it's the Vitalumière Aqua that's been the obvious choice. I've even been mixing the two together for the best of both worlds and a dewey but long lasting finish. Ultimately it comes down to skin type and I see Perfection Lumiere Velvet being a big hit in the Summer when my skin goes into it's regular heat induce panic, whereas on the occasionally dry complexion day Vitalumière Aqua is much better suited. I don't think the debate between the two is quite over yet but as foundations go, there's no denying that they're both stand outs in my (probably far too large) collection.